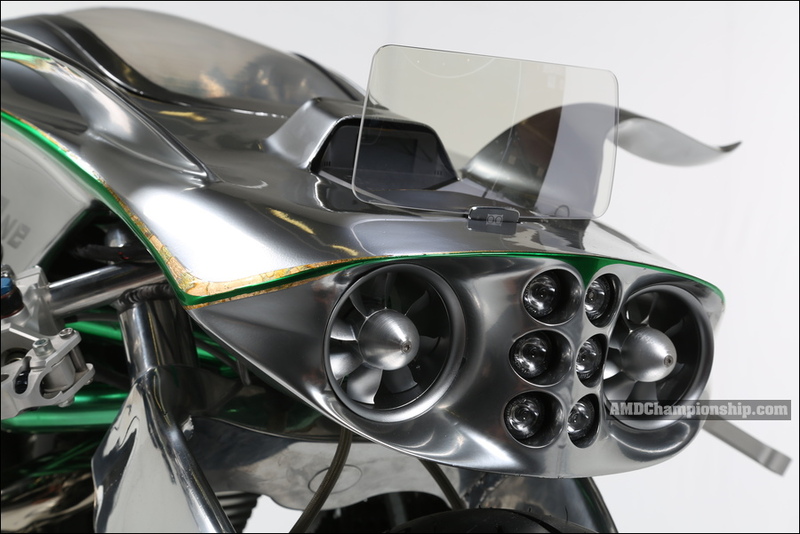 The design is futuristic as a jet, and takes inspiration from Emiliano Fiordi and his smart diabolical mind. 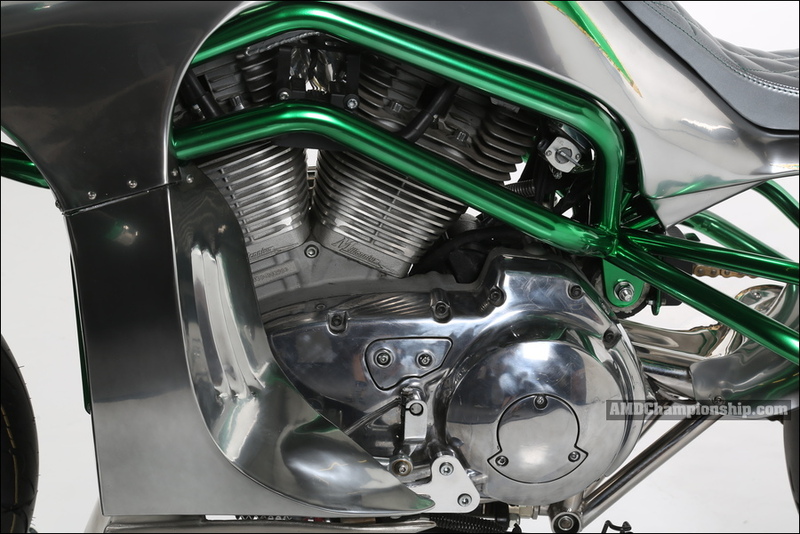 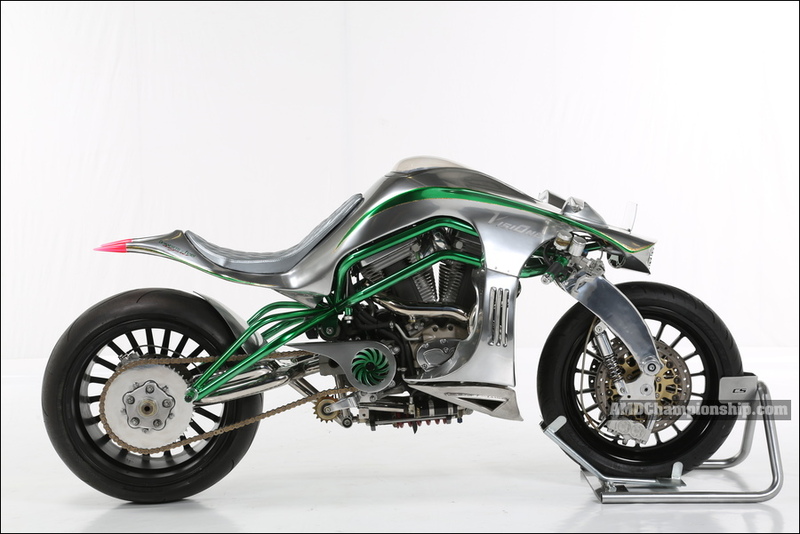 All components on this motorcycle were designed and handmade to achieve this look. 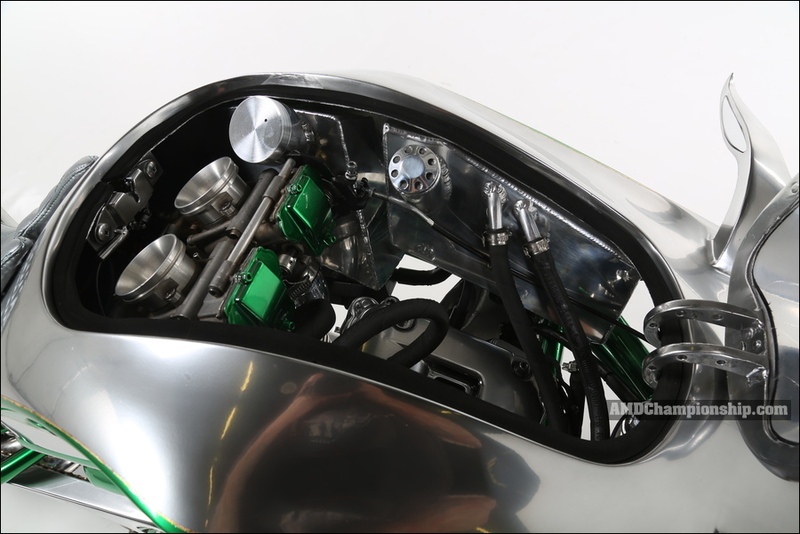 Double downdraft carb Mikuni mod.